4.basic offensive "Give and Go"
This DVD is intended to teach the fundamentals of lacrosse to beginning and less experienced players. Coach Davis utilizes drills that are commonly used in other sports, and then applies the characteristics of those drills to lacrosse in a creative way that will keep young players interested as they develop their fundamental skills. The basics of lacrosse are covered using exercises that players will have fun performing. Drills can be customized to fit the specific and ever-changing needs of athletes. Coach Davis' methodology includes learning important concepts by teaching fun and memorable "catch phrases." Key terms are introduced to help players remember proper skill execution. For example, the catch phrase "keep your nose behind your toes" describes proper positioning for defense. One of the ground ball catch phrase is "two butts down." Simple and fun phrases like these make it easier for beginning players to remember the finer details of the skills they are working to develop. 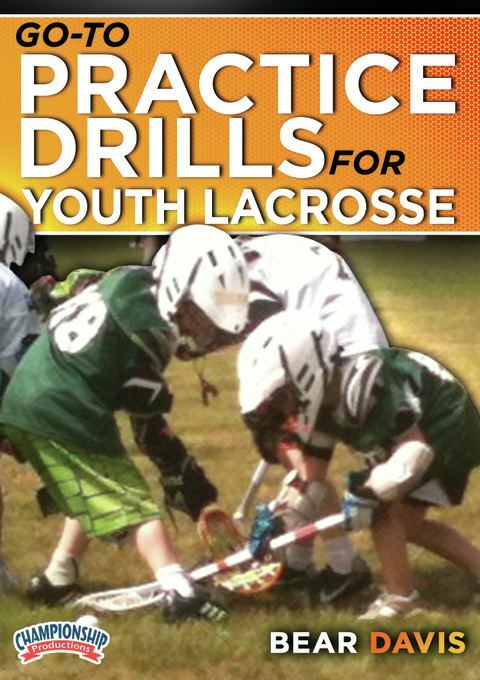 Individual defensive dodging and other fundamental lacrosse skills are covered in the 11 drills included in this DVD. There are multiple drills as well as games that can be implemented to develop fundamental lacrosse skills. Many of the activities have been designed to include goalies; the DVD also features an exciting drill especially for athletes who play in this key position. 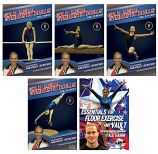 This DVD is a fantastic resource that will help even experienced coaches build a comprehensive practice program guaranteed to keep younger players engaged and highly motivated. Players will have fun and grow with each practice.